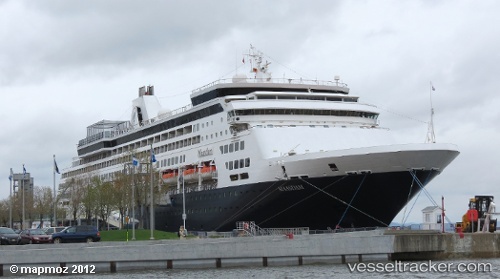 A cruise passenger on board the "Maasdam" was killed on Nov 7, 2018, when she slipped and fell between a tender and the cruise ship. At the time of the incident, the ship was in Rarotonga in the Cook Islands. The seas were very rough at that time. She was traveling by herself. The staff members were offered counseling by phone. The "Maasdam2 was sailing on a 28 night “Polynesian & South Seas Sampler” cruise. Holland America Line will offer new EXC In-Depth Voyages onboard the 1,258-passenger Maasdam between September 2018 and May 2019. EXC In-Depth Voyages expand on Holland America’s Explorations Central (EXC) programming by allowing guests to create their cruise experience by choosing both their onboard and onshore activities. Guests can choose from a variety of themed activities when picking onshore and onboard enrichment activities, including photography, science and nature, arts and culture, food and wine, history, and active exploration. The new EXC In-Depth Voyages will range from 12 to 34 days and will be supported by world-renowned experts and local scholars. Maasdam will carry Zodiac inflatable boats for tours. Gale-force winds and high seas forced the "Westerdam", the "Amsterdam" and the "Maasdam" to cancel their port calls at Sitka. The ships were scheduled for Sep 21, 22 and 23, 2016. Two ships were still scheduled to call in Sitka with the "Norwegian Jewel" slated to stop on Sep 24 and the "Westerdam" again on Sep 28. Storms also kept the "Silver Shadow" from calling on Sep 10.